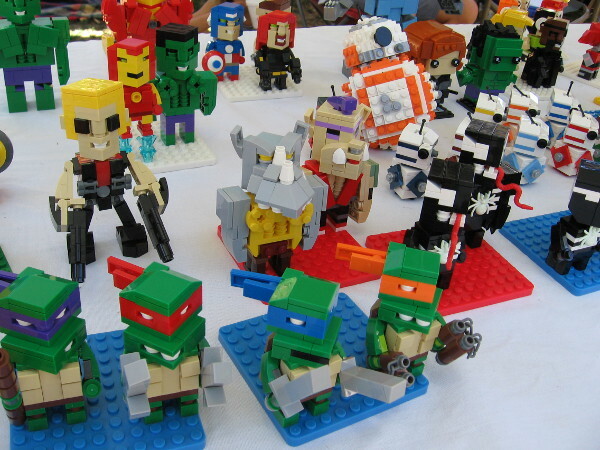 toys – Cool San Diego Sights! Give a Christmas toy to less fortunate children. 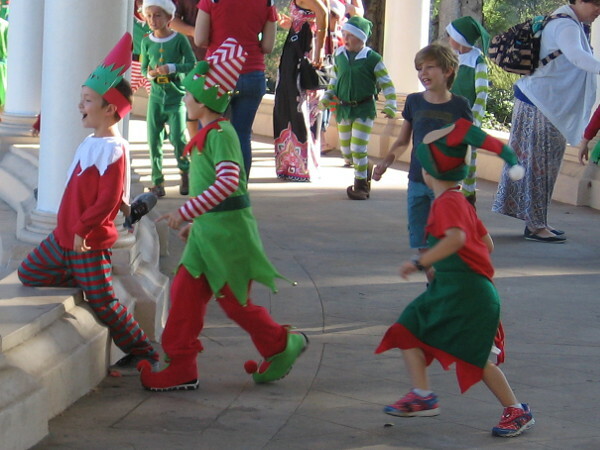 Happy elves magically appear at the Spreckels Organ Pavilion for Christmas on the Prado. If you would like to give a special Christmas gift to less fortunate children in San Diego, here’s a wonderful idea! This coming Saturday and Sunday afternoon–December 1 and 2, 2018–toys will be collected by Toys for Tots during the 5th Annual Christmas on the Prado in Balboa Park. Bring a new unwrapped toy . . . or two . . . or three! Here’s an even more wonderful idea! Host a toy drive at your work, church or special event and bring lots of toys! If you happen to swing by Balboa Park on Saturday, you’ll be able to watch the lighting of the community Christmas tree in the Spreckels Organ Pavilion at 6:30 pm, then Sing Along with Santa! Posted on November 28, 2018 Tags balboa park, children, christmas, compassion, events, happy, heart, holidays, joy, san diego, santa claus, spreckels organ, toys, weekendLeave a comment on Give a Christmas toy to less fortunate children. 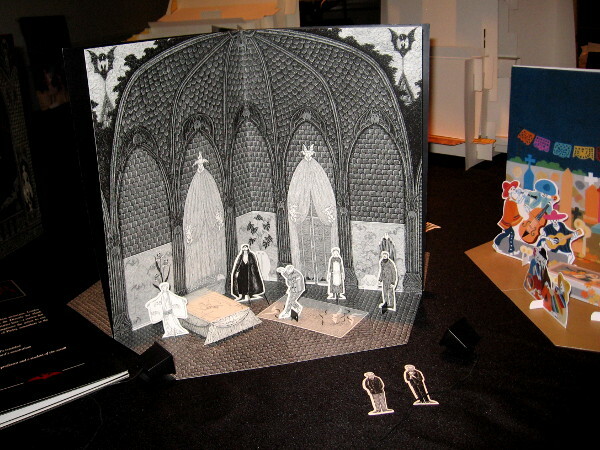 Fun stage dioramas at Paper Theatre Festival! 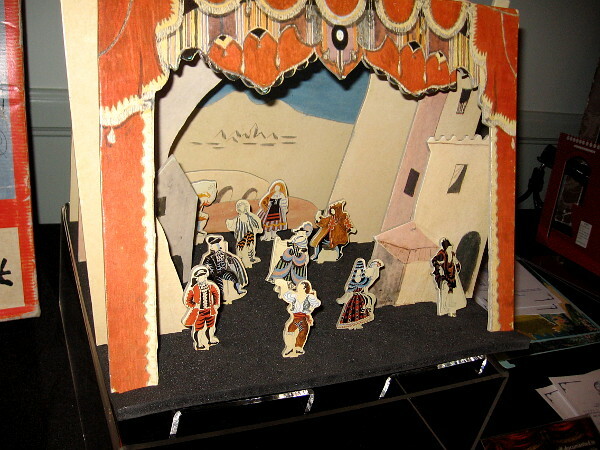 An example of an elaborate paper toy theater, a source of family entertainment in the 19th century. Today, just for fun, I headed up to the Paper Theatre Festival, which is held every year at UC San Diego. Upon entering the Seuss Room at the Geisel Library, I couldn’t help smiling. Scattered about the room was a large collection of Victorian stage dioramas, character cut-outs, books and ephemera from the 19th century when paper toy theatre was a popular family entertainment. 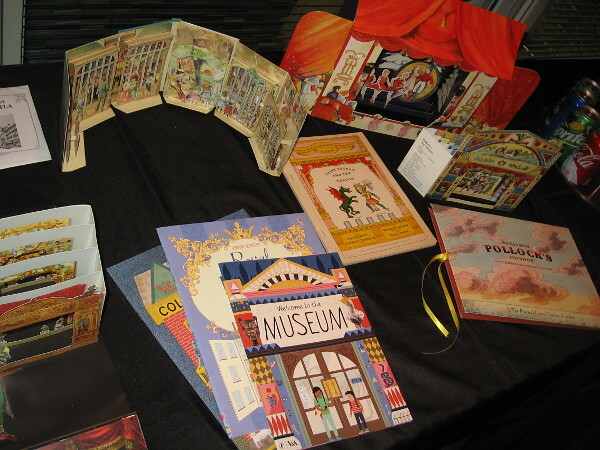 All of the colorful artwork exhibited at the festival is part of an immense paper theatre collection assembled over the course of eighteen years by Scott Paulson. I listened to him talk to visitors young and old about his collection, and tried to absorb a bit of this unique art form’s history. 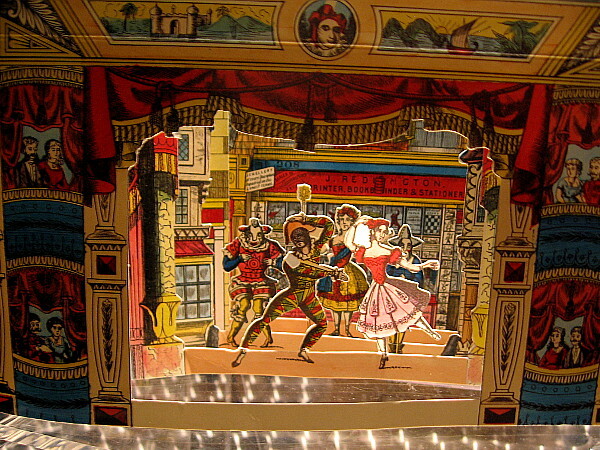 I learned how in that bygone age, families would construct these paper theaters from kits, then act out plays with the included scripts and paper doll actors. The entertaining hobby encouraged people to learn about the operation of a real theater, including set design and stage lighting effects. Walking about the Seuss Room, I bent over to peer into many highly ornate 3-dimensional dioramas. 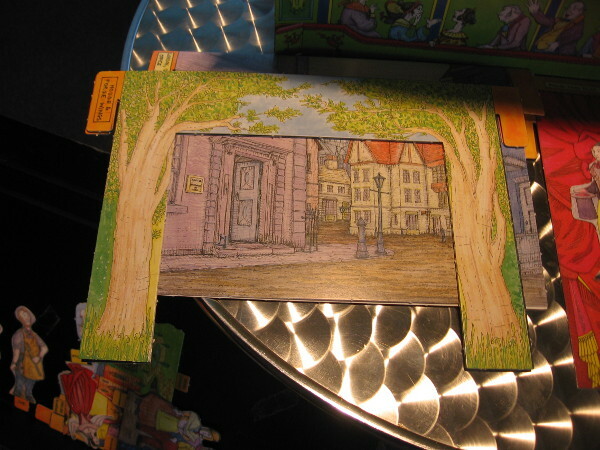 Slots at intervals on the stages allow different paper backdrops–scenery sheets–to be inserted, as you can see from my photos. 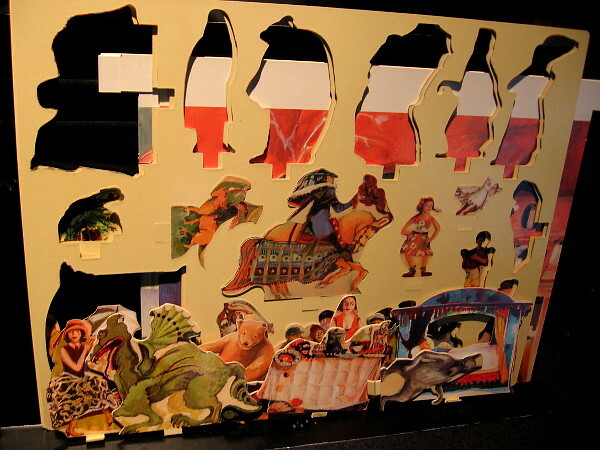 Paper characters, which are often mounted at the ends of sticks, can be moved about on a stage as a dramatic performance demands. The festival is geared toward kids, who are encouraged to handle these fun paper playhouses, learn about their history and create their own small dramas. The event continues Sunday and Monday. Click here to learn more! 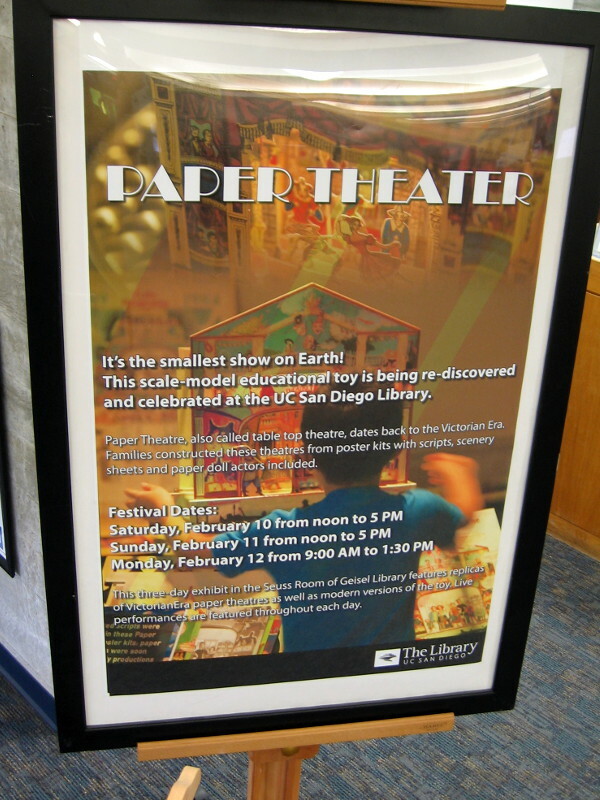 Paper Theater – It’s the smallest show on Earth! 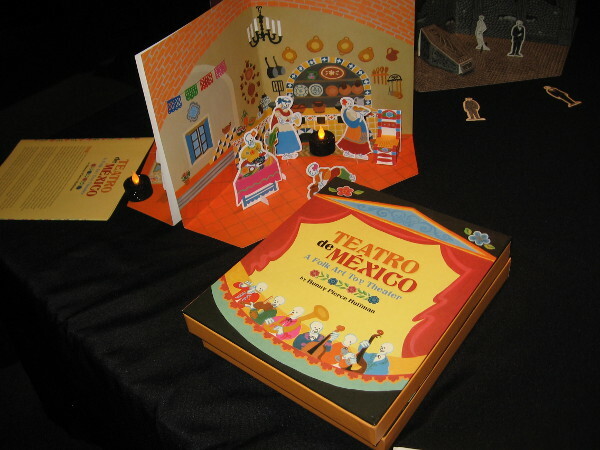 Historical amusements are on display at the Paper Theatre Festival at the UC San Diego Library. 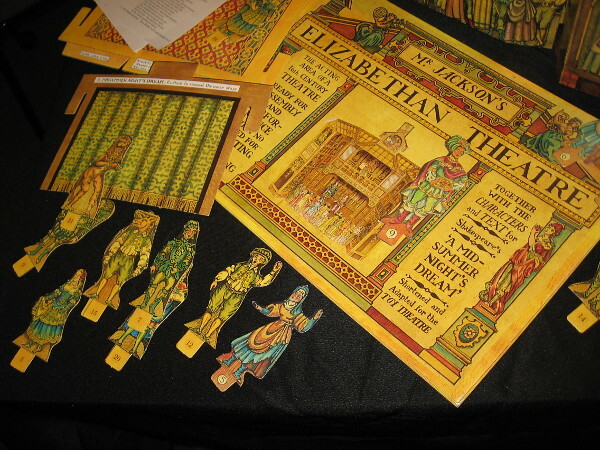 Objects on display include books, posters and materials to create paper theaters. A mirthful dance of magical characters! 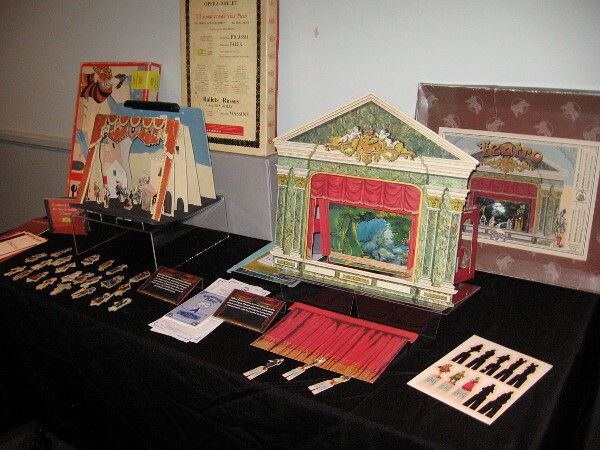 A variety of paper toy theaters and related items are on display at the annual festival. A scenery sheet depicting a London street to be used in a play of Charles Dickens’ Great Expectations. 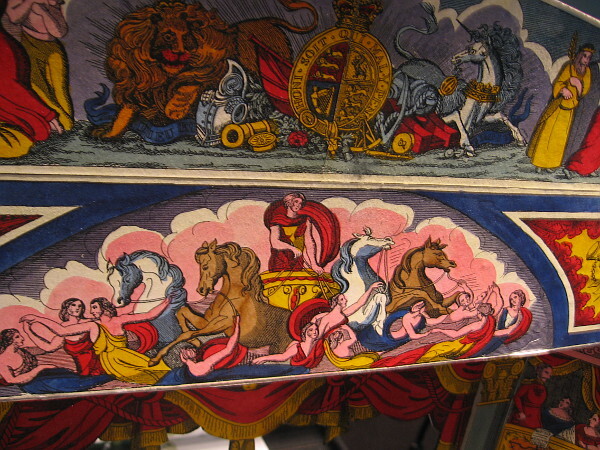 Detail from one ornate paper stage. These cut-out paper actors include dragons, knights and other fantastic characters. Mr. Jackson’s Elizabethan Theatre includes the characters and text for Shakespeare’s A Midsummer Night’s Dream. 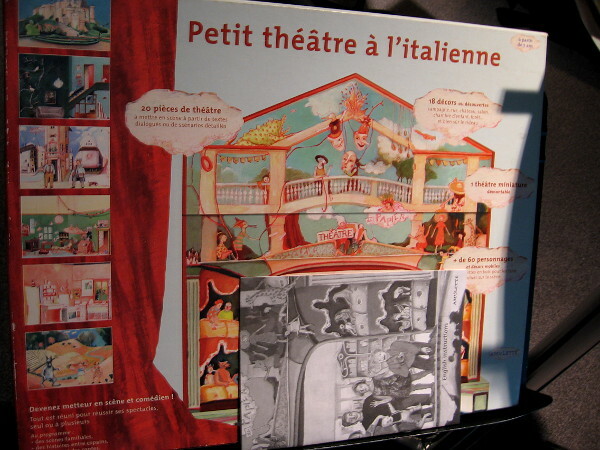 An example of a French paper theatre kit. 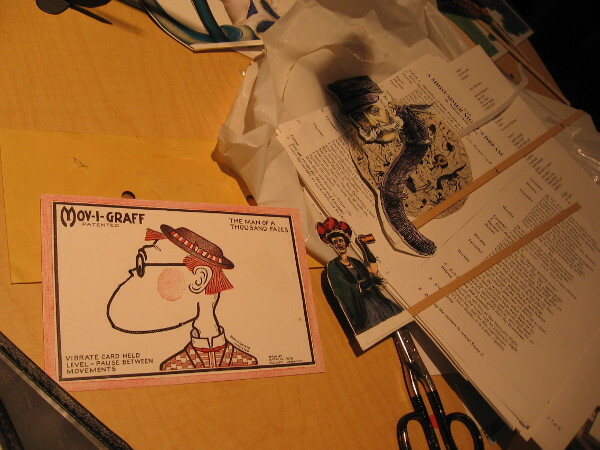 The exhibition includes a crazy MOV-I-GRAFF card. The outline of the face is a fine chain. The face’s shape can be altered with a jiggle. This stage features a troupe of dancers! Edward Gorey’s Dracula. Classic horror and toy theatre! Teatro de Mexico. 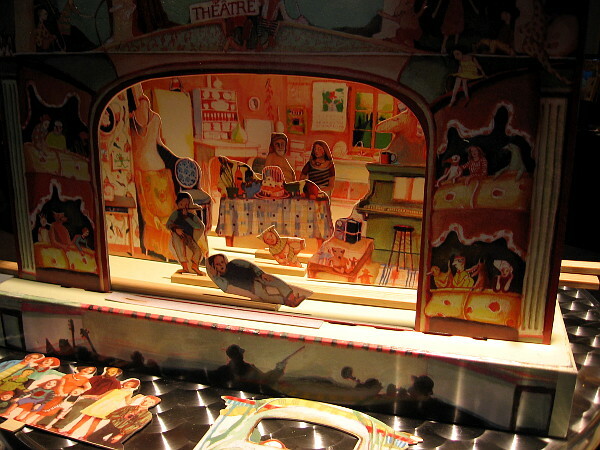 A folk art toy theater. 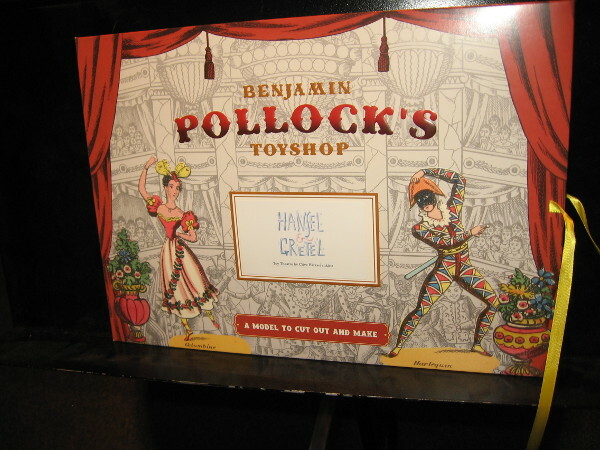 Benjamin Pollock’s Toyshop. Hansel and Gretel. A model to cut out and make. 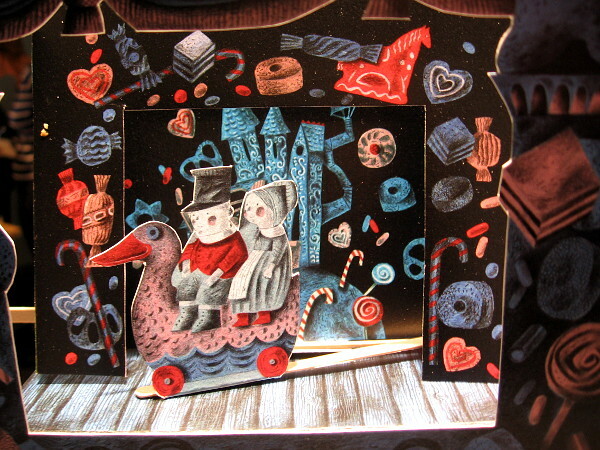 A fun, very colorful Hansel and Gretel scene made of paper! Posted on February 10, 2018 February 11, 2018 Tags art, crafts, entertainment, family, festivals, fun, history, hobbies, kids, libraries, san diego, theatre, toys, ucsdLeave a comment on Fun stage dioramas at Paper Theatre Festival! 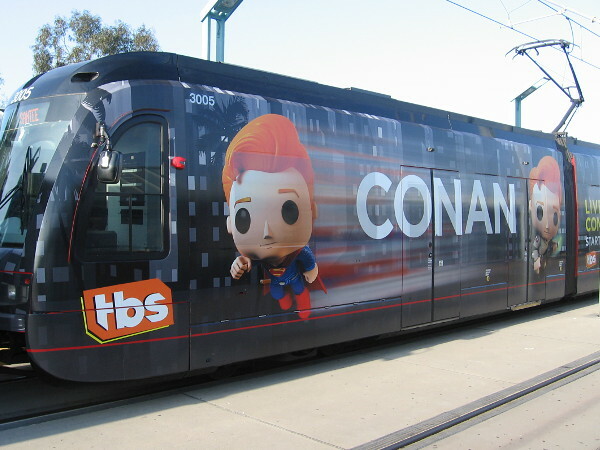 A new Conan O’Brien trolley wrap for 2017 SDCC! Conan O’Brien is returning to San Diego Comic-Con in 2017. 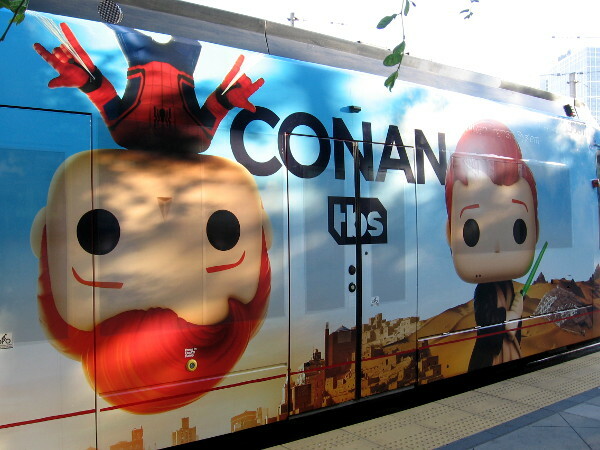 Some trolleys are wrapped with images of Conan as four different Funko Pop! toys. 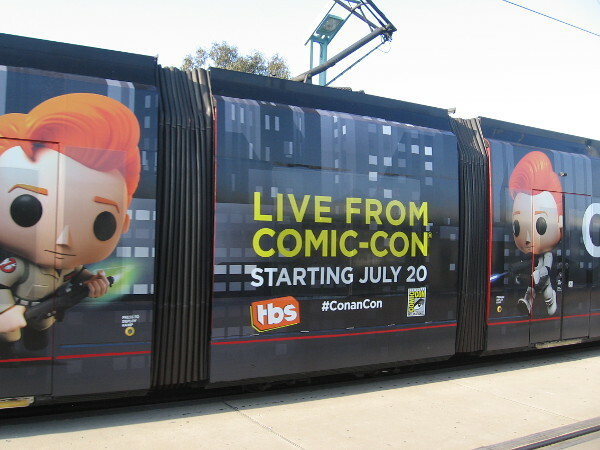 Here are some photos of the new Conan O’Brien trolley wrap for 2017 San Diego Comic-Con! I spied two trolley cars with this wrap on my way home from work aboard the Green Line. This is the third year in a row Conan will be hosting his funny TBS talk show at the Spreckels Theatre during Comic-Con. And, as before, the trolley wraps feature him transformed into four different Funko Pop! characters. This year Conan appears as Justice League member the Flash, as a Game of Thrones White Walker, as Marvel’s ever-popular superhero Spiderman, and finally as a Star Wars Jedi holding a lightsaber. Enjoy these photos! 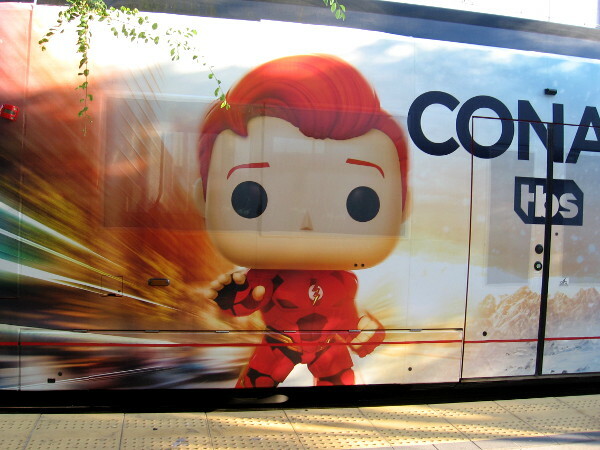 I’ll keep watching for new SDCC trolley wraps in the days ahead! 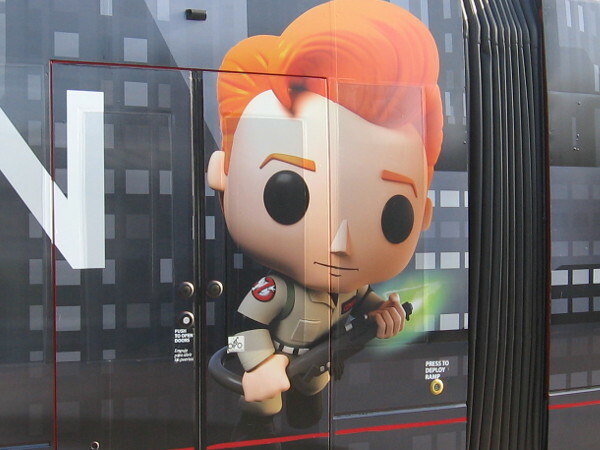 For the third year in a row, TBS television talk show host Conan O’Brien has been transformed by Funko into four famous pop culture characters. Conan O’Brien has become the fastest man alive–The Flash! 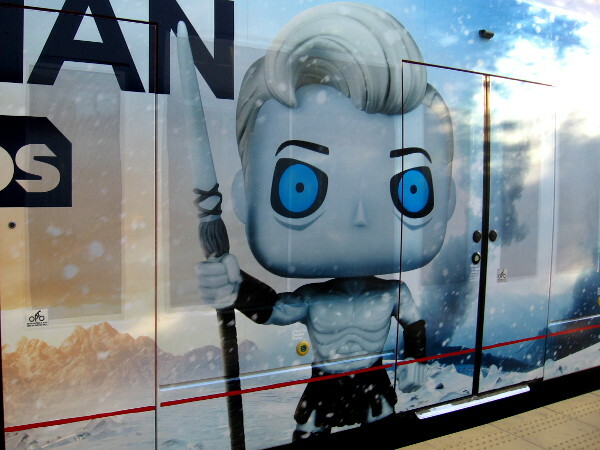 This trolley wrap image has Conan turned into a White Walker from Game of Thrones. Conan is hanging upside down from the roof of the trolley. He is your friendly neighborhood Spiderman! Or perhaps Conan is actually a Star Wars Jedi. Is he a Gray Jedi? 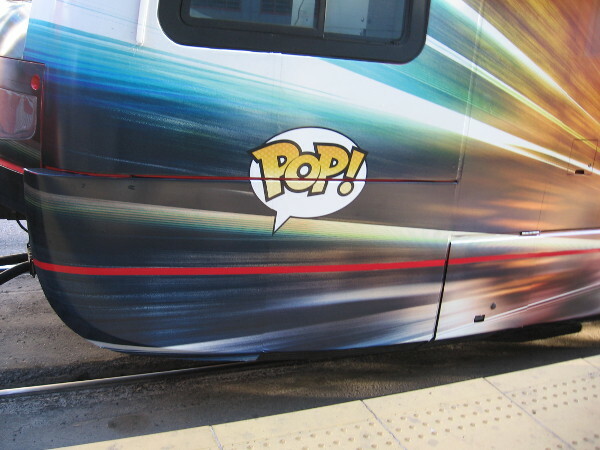 San Diego Comic-Con is on the way, and lots of trolleys are appearing with a variety of cool wraps! You can easily explore Cool San Diego Sights by using the search box on my blog’s sidebar. Or click a tag! There are thousands of photos (including a bunch from past Comic-Cons) for you to share and enjoy! 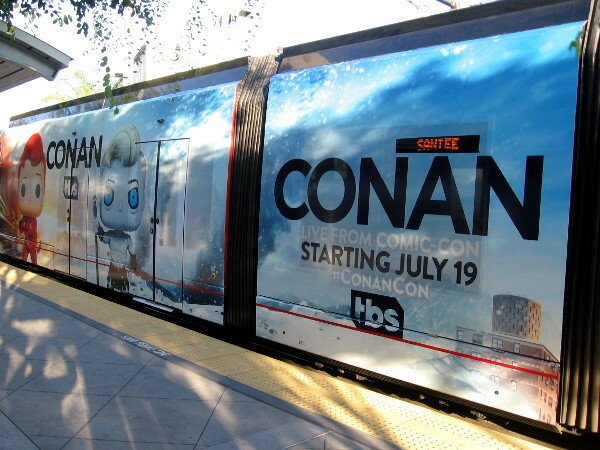 Posted on June 19, 2017 June 19, 2017 Tags comedy, comic-con, cool, flash, game of thrones, pop culture, san diego, san diego trolley, spiderman, star wars, superhero, television, toys, trolleyLeave a comment on A new Conan O’Brien trolley wrap for 2017 SDCC! 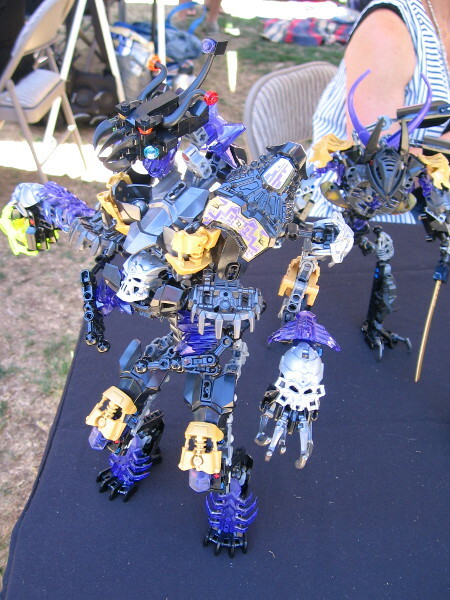 Cool LEGO creations displayed in Balboa Park! 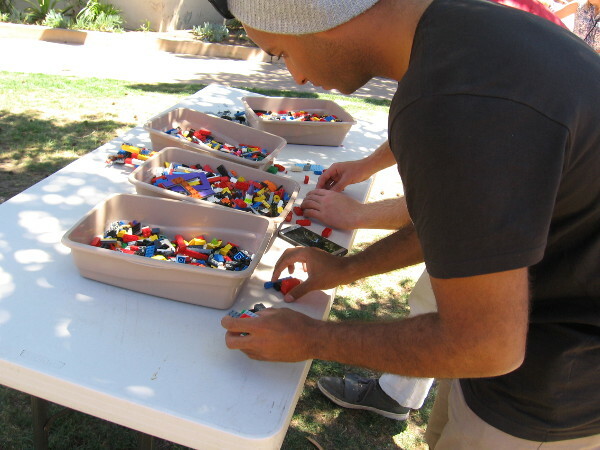 Fun LEGO creations on display during the House of Denmark lawn program in Balboa Park. Wow! Check these out! 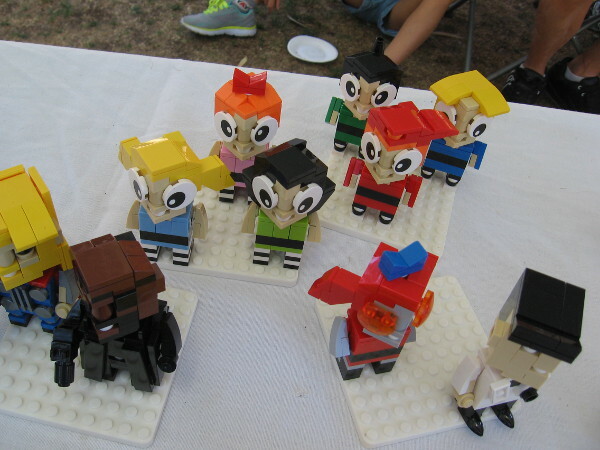 Here are some super cool LEGO creations that I saw today in Balboa Park! 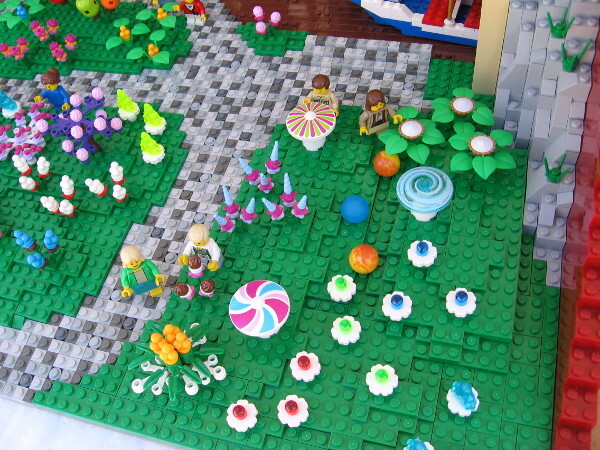 I was walking among the International Cottages when I spied tables with all sorts of fun and amazing stuff made of LEGO bricks. The builders were more than happy to show off their creations! When I was told the House of Denmark was having their lawn program today, it all made sense. The LEGO company is based in Denmark, of course. 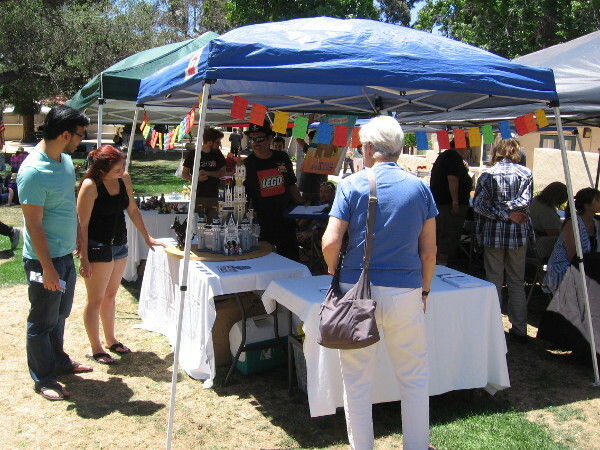 I also enjoyed looking at some cool Viking weapons and crafts displayed on the lawn nearby. If you want to check that out, visit my Beautiful Balboa Park blog by clicking here! This tent was a magnet for the young and young-at-heart. 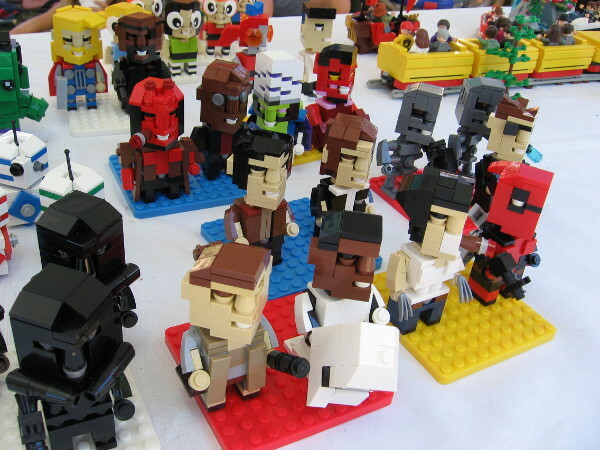 Talented LEGO builders were showing off some amazing creations! I learned this castle was built from a kit. Everything else on display, however, was an original creation. Here we go! 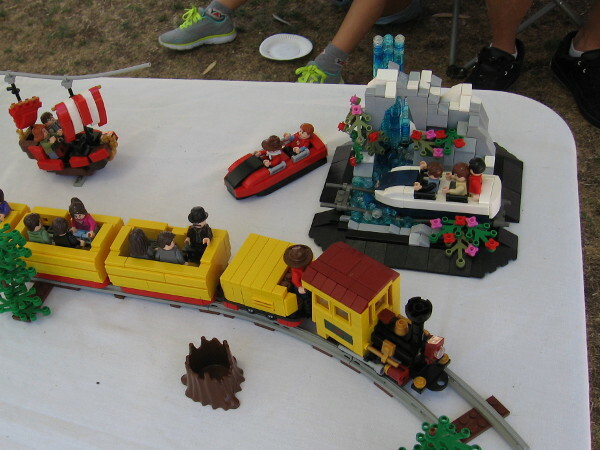 I see a fun train, a Viking ship and what looks like cars from an amusement park ride. Look at all the LEGO characters! I see the Teenage Mutant Ninja Turtles, Marvel comic book superheroes and supervillains and many others! 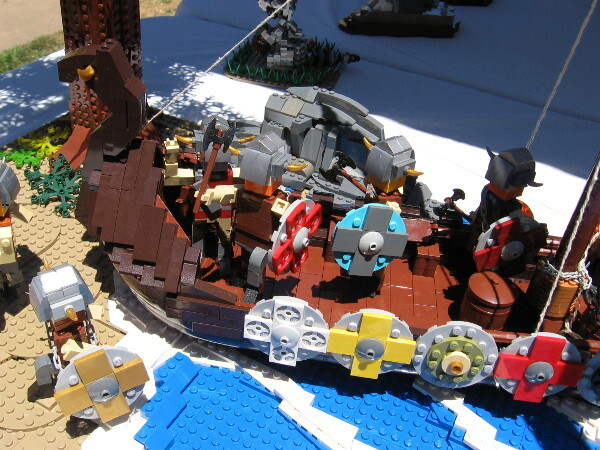 This first batch of LEGO creations was put together by Matt Armstrong, who runs MonsterBrick Creations! 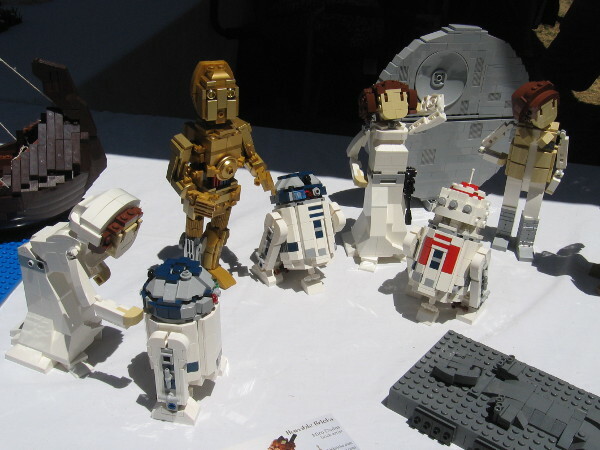 Now let’s check out some cool Star Wars characters made of LEGO bricks. These were created by Miro Dudas of Humble Bricks. His detailed Viking ship was awesome! 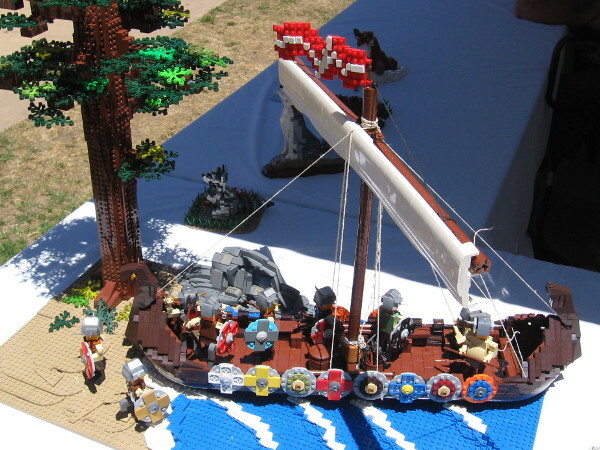 An up-close look at the LEGO ship and its Viking warriors! 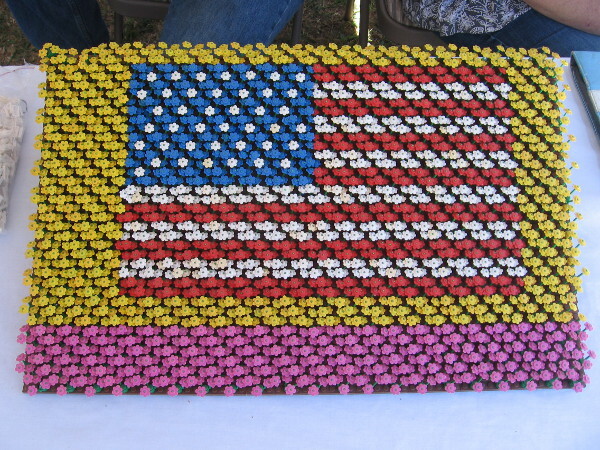 This American flag created by another skilled LEGO builder was inspired by the Carlsbad Flower Fields! It took a long time and much patience to assemble! 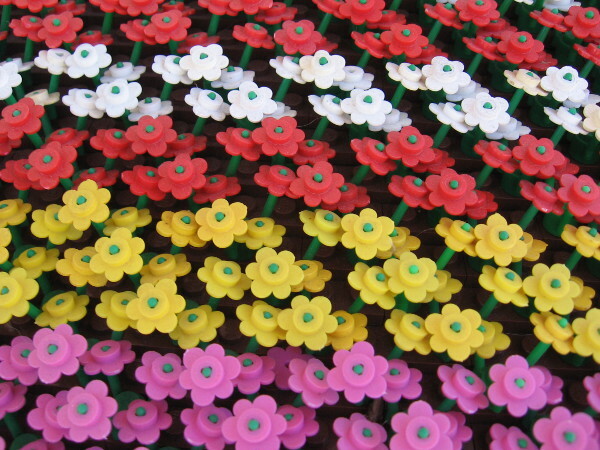 There are three levels of colored flowers. The first level had to be installed first, then the second, then the third. The end result is amazing. OMG! One of my favorite movie scenes! 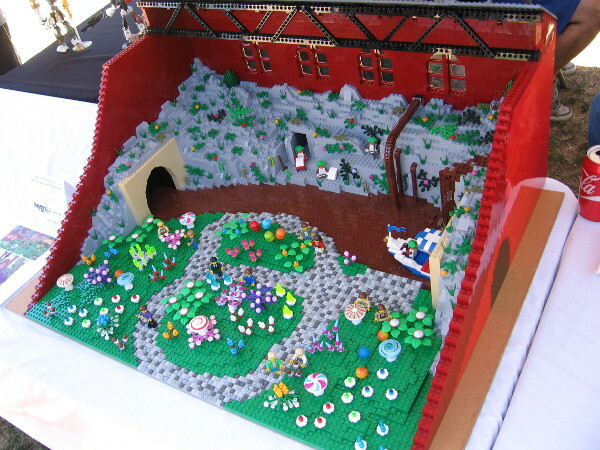 It’s a LEGO version of the Chocolate Room from Willy Wonka and the Chocolate Factory! Pure imagination! 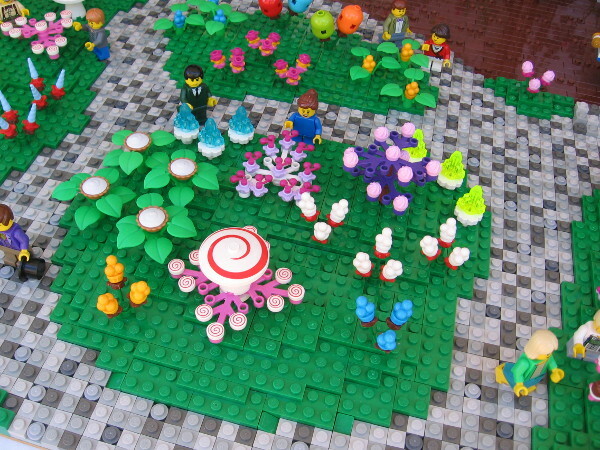 A meadow full of candy made of LEGO bricks! I think Roald Dahl, author of Charlie and the Chocolate Factory, would have been delighted by this. I was told that is Augustus Gloop near the bottom reaching for a chocolate flower. Don’t fall into the river! Watch out for the pipes! Here comes an Oompa Loompa sailing down the chocolate river! 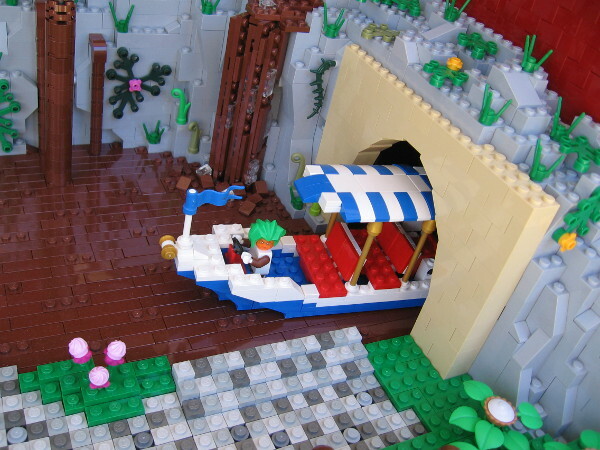 The Chocolate Room was built by LEGO master John Cooper! 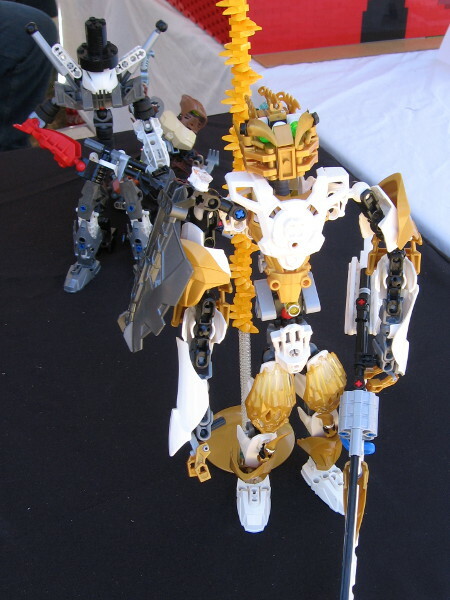 A young man had made a number of super cool LEGO characters using his imagination. 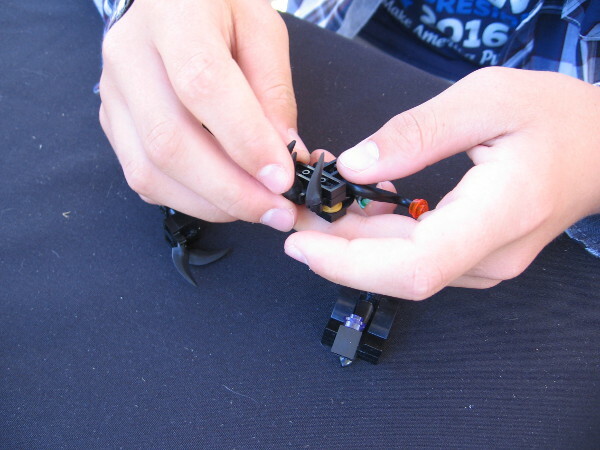 The young man demonstrates how to make an adjustment to one LEGO creation. 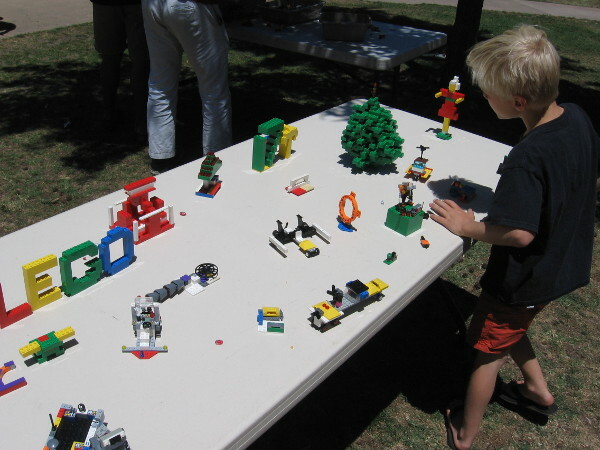 This table on the International Cottages lawn contained all sorts of unique LEGO creations made by visitors to the House of Denmark event. I’m not sure what these guys are making. It could be literally anything! You can easily explore Cool San Diego Sights by using the search box on my blog’s sidebar. Or click a tag! There are thousands upon thousands of fun photos for you to share and enjoy! 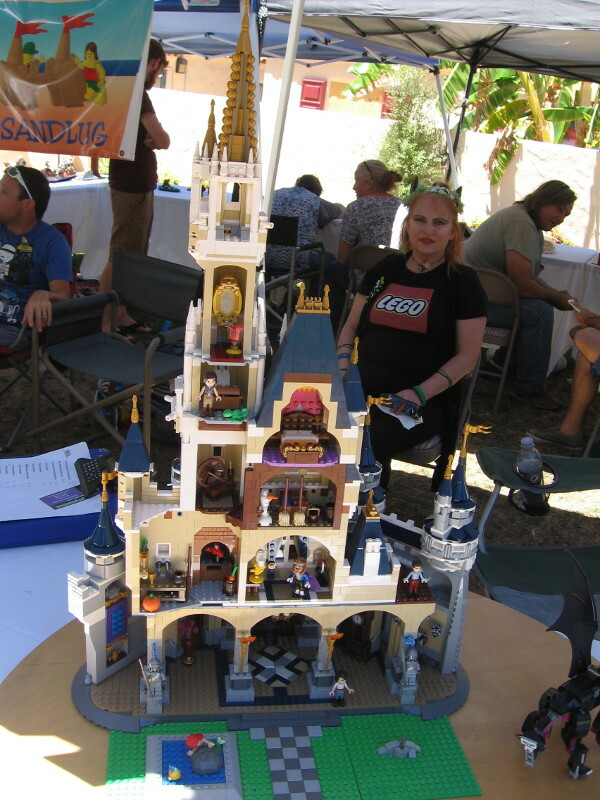 Posted on April 30, 2017 May 1, 2017 Tags amazing, balboa park, construction, cool, creativity, denmark, fun, house of denmark, imagination, kids, lego, photo, san diego, toys4 Comments on Cool LEGO creations displayed in Balboa Park! Japanese video game characters in fun street art! 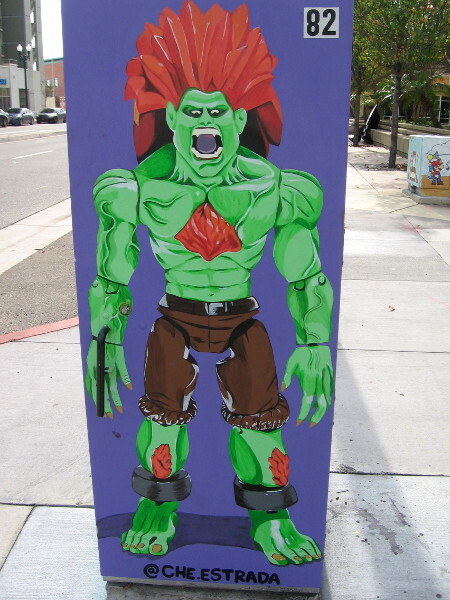 Blanka of Capcom’s Street Fighter video games. 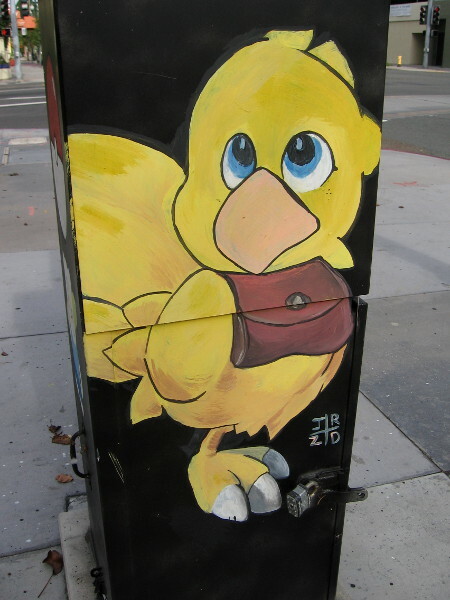 Fun street art in National City. 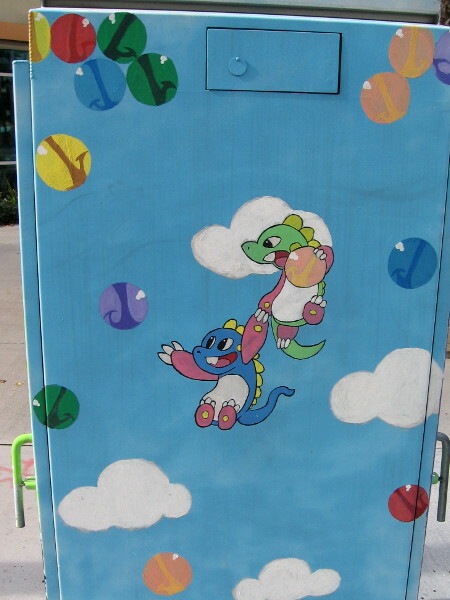 A bunch of fun, colorful Japanese video game characters have been painted on several utility boxes near the center of National City. I spotted them while walking near the intersection of National City Boulevard and East 8th Street. A whole universe of video game characters created over the years in Japan have contributed in a very big way to our popular culture. 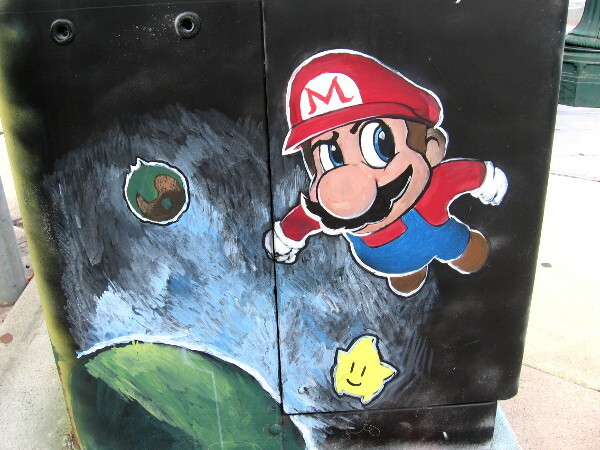 From Sonic the Hedgehog to Mario to the magical creatures of Pokémon, they populate video games, television shows, movies, comic books, toys . . and, as you can see, even some really fun street art! 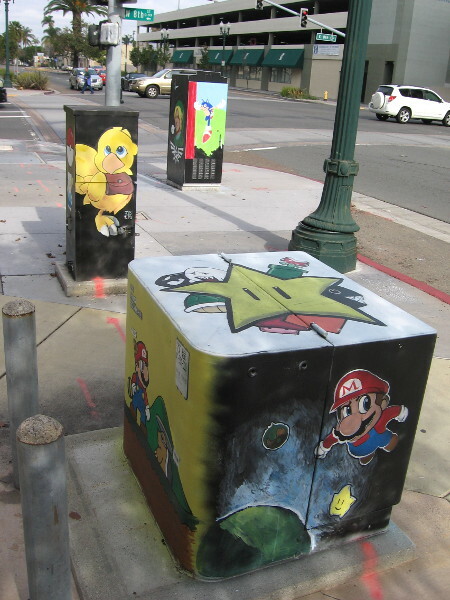 Painted utility and transformer boxes near the corner of National CIty Boulevard and East 8th Street feature a variety of colorful Japanese video game characters. 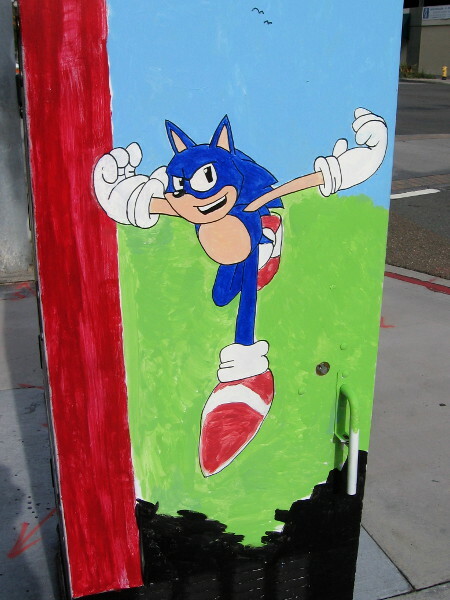 Sonic the Hedgehog of Sega Games has been painted on a utility box in National City. Bub and Bob originally from the 1980s Taito video game Bubble Bobble. 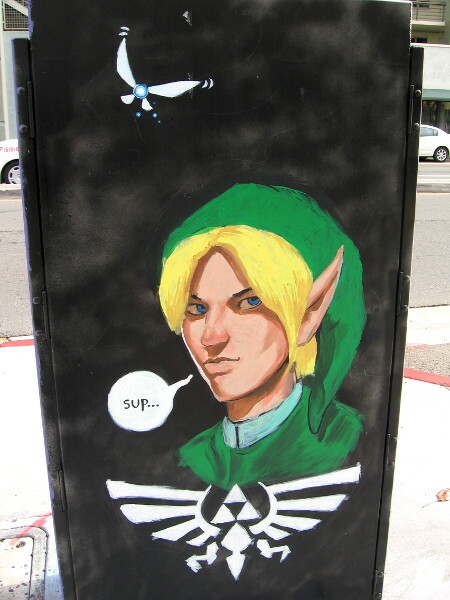 Street art depicts Link of The Legend of Zelda video game series. 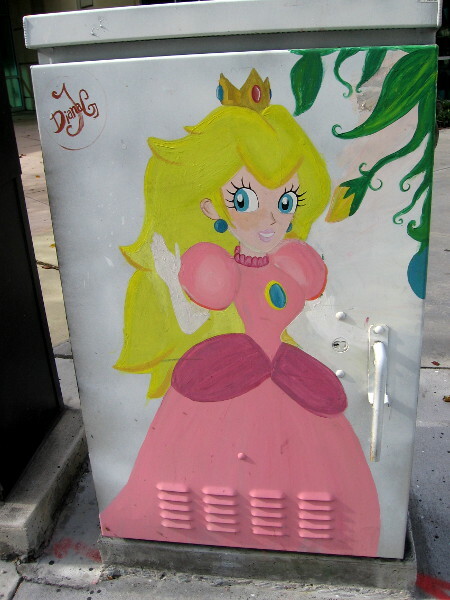 A cute street art rendition of Princess Peach from the Mario video games. 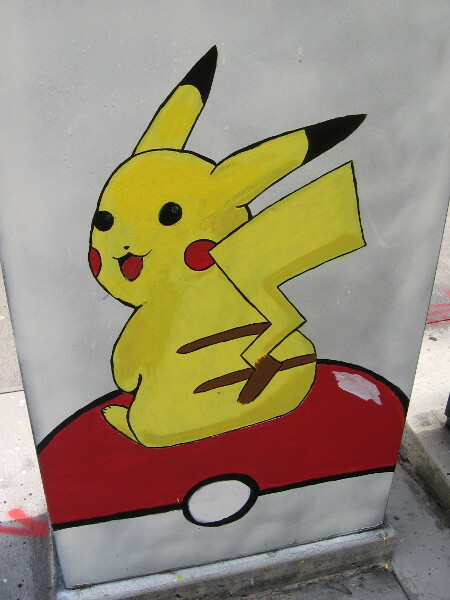 Pikachu sits atop a Pokémon Poké Ball. Fun street art in National City. The character beneath the Poké Ball looks somehow familiar, but I can’t figure this one out… Okay, a coworker identified him! 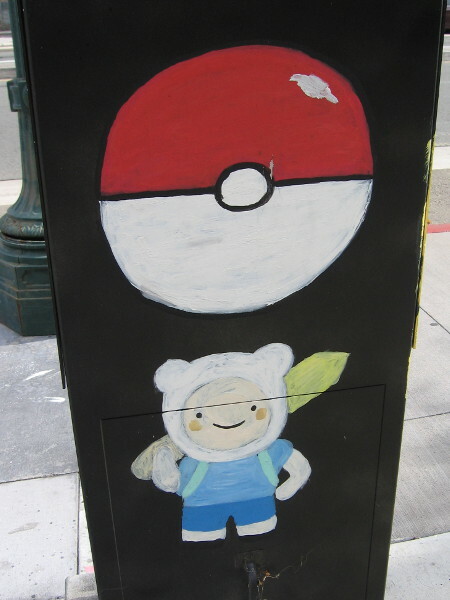 It’s Finn the Human from the animated television show Adventure Time. Not of Japanese origin, apparently, but he has appeared in video games! Chocobo from the Final Fantasy video games. 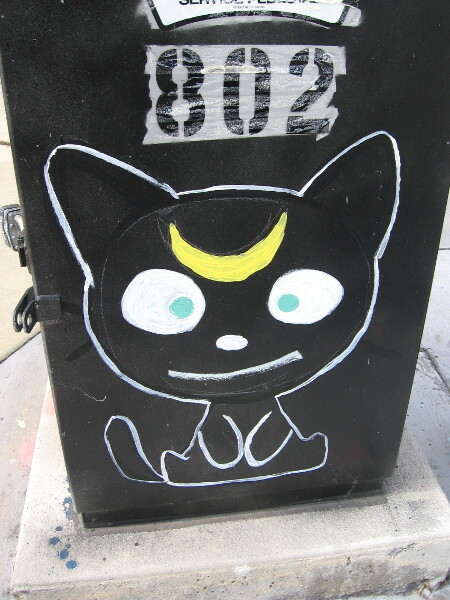 Happy street art painted on a utility box. Luna from the popular Japanese manga series Sailor Moon. I’m not sure if Luna appeared in any video games. 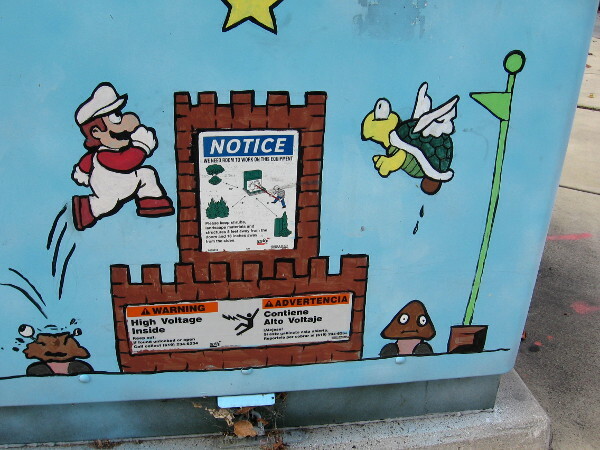 Nintendo’s pop culture icon Mario fights Gooper Blooper in this fun, nostalgic street art. A green Super Mario Koopa Paratroopa flies over a castle while our leaping hero steps on a Goomba! 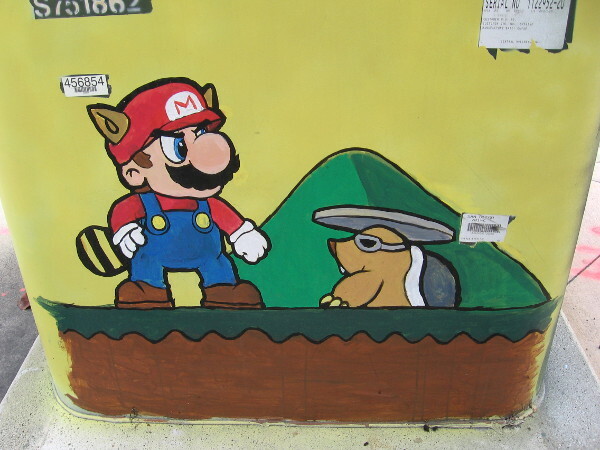 A villainous Rocky Wrench pops out of a hole to attack Mario in this video game street art! 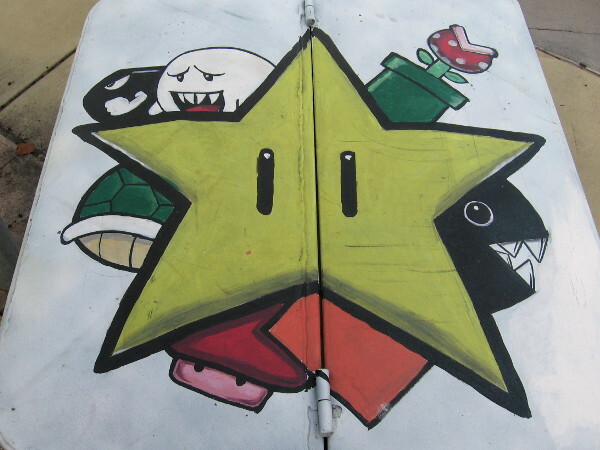 I believe these are various images of enemies from the Mario video game franchise on top of the transformer. Super Mario Galaxy has our hero capturing Power Stars in Outer Space! More street art in National City! Posted on January 17, 2017 January 18, 2017 Tags art, comic books, comics, fun, japan, kids, movies, national city, pop culture, street art, television, toys, urban art, video games10 Comments on Japanese video game characters in fun street art! San Diego Marines collect Toys for Tots! 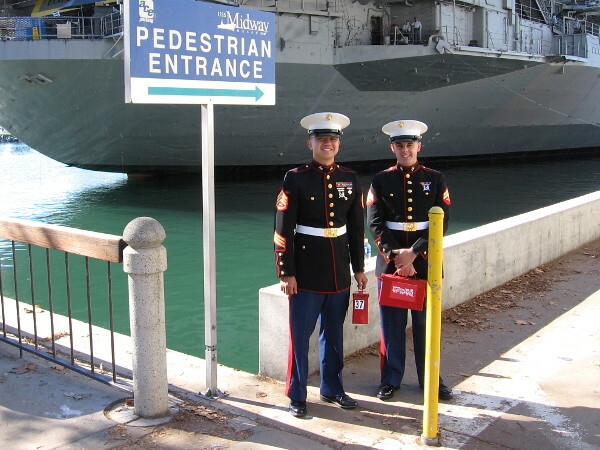 Marines stand at pedestrian entrance to Navy Pier, welcoming people to the Toys For Tots event by the USS Midway Museum. Most of you reading Cool San Diego Sights probably can’t make it out to the Toys for Tots event today. 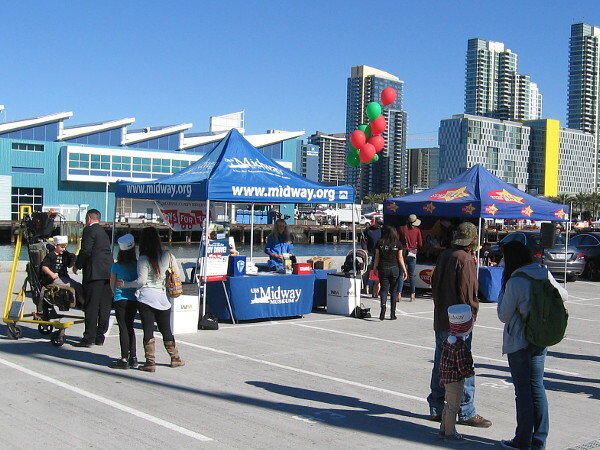 It’s being held in downtown San Diego, on the pier next to the USS Midway Museum. But if you’d like to make a charitable donation to the cause, please go the Toys for Tots website. I headed on down to Navy Pier for a few minutes to see what was going on. Not only did I spy Santa and Mrs. Claus, but a dancing green elf, and some very generous people. Toys collected (and donations made) help less fortunate children to have a Merry Christmas. Thank you United States Marine Corps! 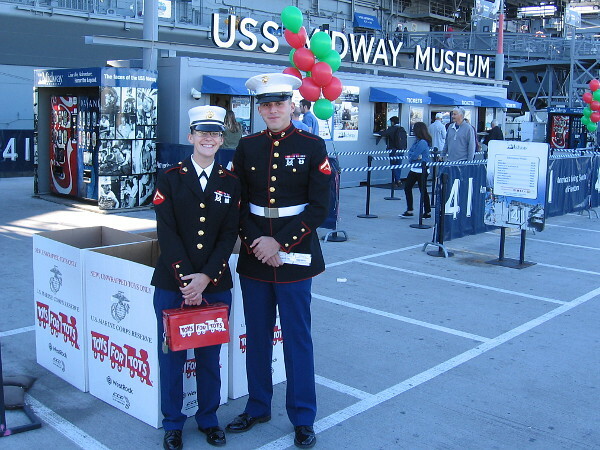 Toys and donations are being collected by San Diego Marines next to the USS Midway. Santa will be parachuting onto the aircraft carrier throughout the day! 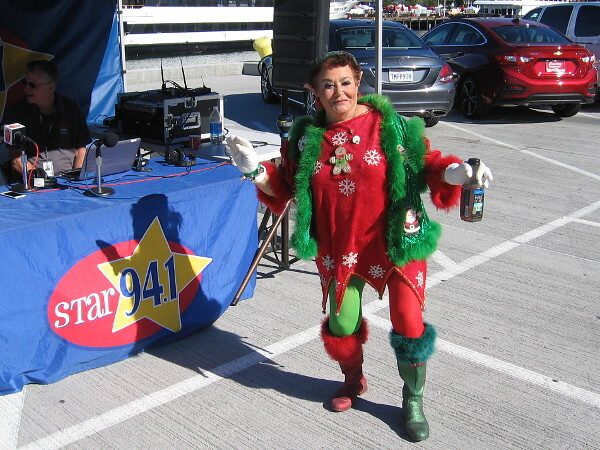 This funky elf is present to lend a helping hand and a laugh or two! 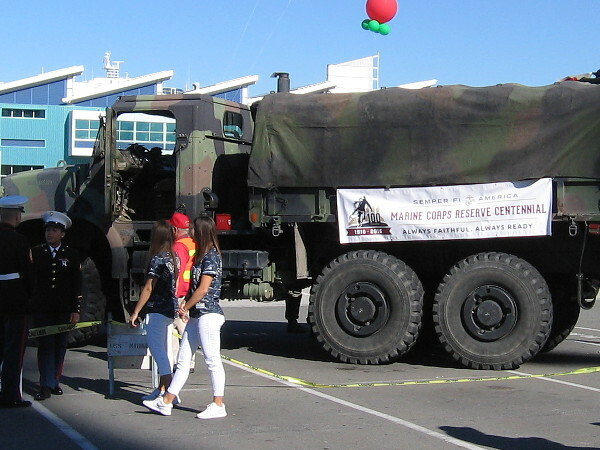 Donated toys will fill this United States Marine Corps truck. A banner on its side commemorates the Marine Corps Reserve Centennial. 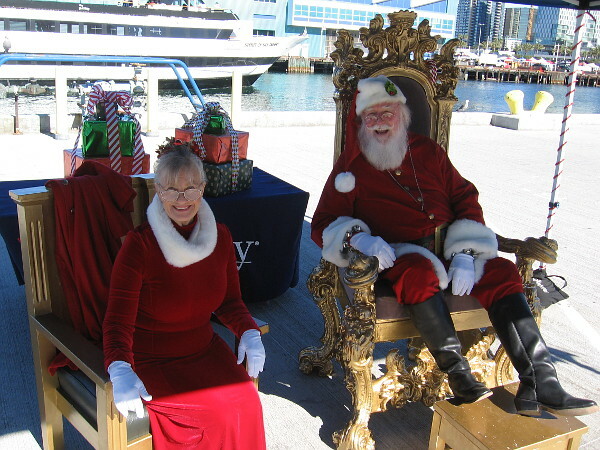 Santa and Mrs. Claus are visiting again for the toy drive! I saw them here a year ago! San Diego Marines collect toys for the less fortunate, to be distributed by charitable organizations during Christmas. Are you a blogger? Do you want to make the world a better place? You might want to join Bloggers Lifting Others Generously. Posted on December 3, 2016 December 3, 2016 Tags charity, children, christmas, compassion, events, happy, joy, love, marines, midway, military, people, piers, toys6 Comments on San Diego Marines collect Toys for Tots! Conan as Superman, Stormtrooper, Ghostbuster and Joker! 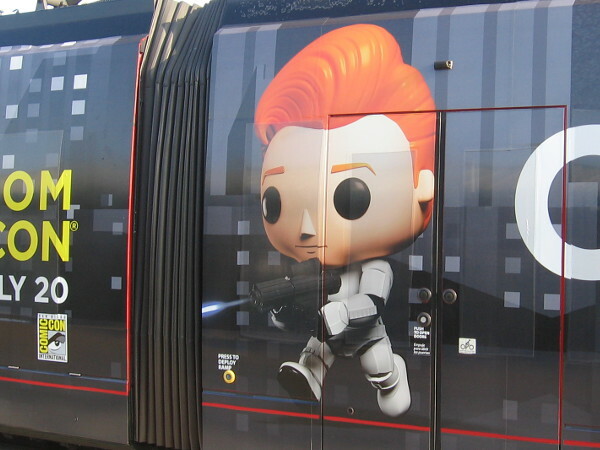 Just like last summer, 2016 San Diego Comic-Con trolley wraps sponsored by TBS feature Conan O’Brien turned into crazy Funko Pop! characters. 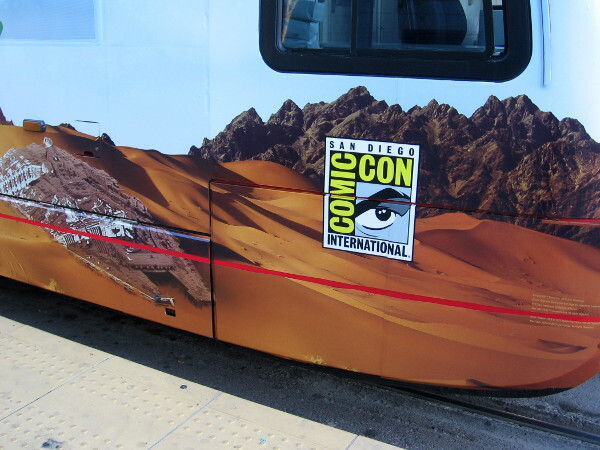 Here are photos of what will probably be the final trolley wrap for 2016 San Diego Comic-Con. I hope I’m proven wrong! 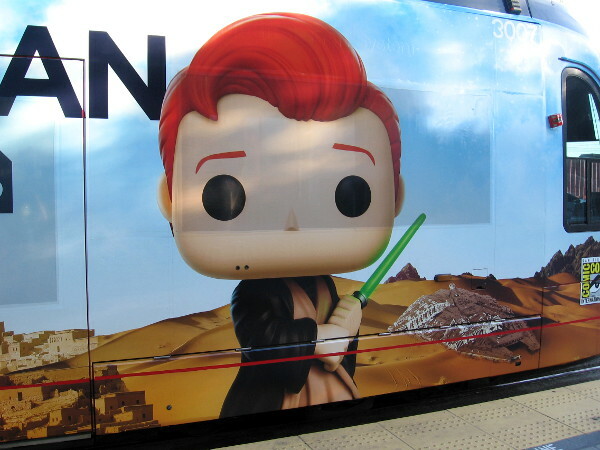 Today a number of trolleys cars featuring brand new Conan O’Brien Funko Pop! figures began heading up and down the Green Line; I counted at least five cars so far. 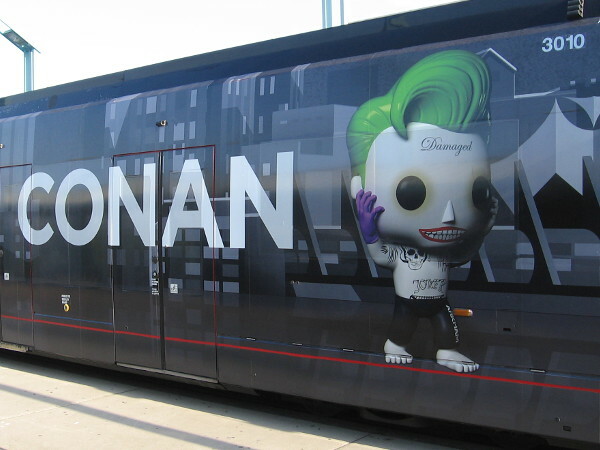 The wrap is quite similar to last year’s TBS Comic-Con offering, but this time Conan has been transformed into four completely different pop culture characters. In 2016 Conan is Superman, a Stormtrooper, a Ghostbuster and Joker. Of course, movies involving these characters are either imminent or on the way, so the wraps work as advertisements for those movies, for Funko Pop! vinyl figure toys, for San Diego Comic-Con, and lastly for Conan O’Brien’s talk show on TBS. I’ve heard that like last year, Conan will be performing live at the Spreckels Theater on Broadway in downtown San Diego. Catch him and his inimitable humor starting July 20! Conan O’Brien will be Live From Comic-Con starting July 20. His talk show antics will be enjoyed in the Spreckels Theater in downtown San Diego. Here Conan is turned into the Joker from the upcoming Suicide Squad movie. He might be damaged, but he has nowhere near enough tattoos. Looks to me as if Conan is a Star Wars Stormtrooper here. He must’ve lost his helmet. Yes, here’s Conan as a Ghostbuster, trying not to be slimed. Even though those black eyes make him look possessed and evil. And finally Conan O’Brien has been turned into good old Superman. Not sure if this is the cranky good old Superman who sometimes kills his enemies. I live in downtown San Diego and love to walk! If all goes well, I’m gonna have a ton of Comic-Con photos on my blog this year! You can follow Cool San Diego Sights via Facebook or Twitter! 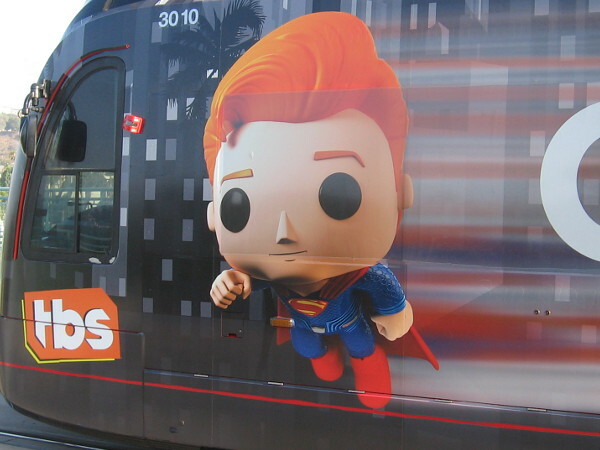 Posted on June 27, 2016 Tags advertisements, comic-con, film, fun, funny, humor, movies, pop culture, san diego, san diego trolley, superhero, television, toys, trolleys1 Comment on Conan as Superman, Stormtrooper, Ghostbuster and Joker!